Today as we look around, the one technology that is impacting lives in a big way is mobile technology. Every day there are more mobile phones sold than babies born. Cutting across nations, right from the developed world to the developing world, it has found its application among all age groups and is increasingly paving the way for a connected world. With its ubiquitous presence, mobile technology has the prospects of impacting and developing the health care sector like never before. As part of this development, smart phones and tablets are playing a critical role in defining how health care is delivered and received. Physicians and patients alike are also eagerly adopting the new technologies. If at all there is an outbreak of an epidemic, this new technology would truly come in handy to limit the spread of the disease through dissemination of timely information enabling effective isolation if required The impact of m-health or .connected-health would go beyond management of epidemics. With more than 5 billion smart phones in use around the world, health care professionals can opt to text messages to remind patients of their medical requirements. With all this and more, significant number of people believe that providing greater access to medical information could dramatically improve healthcare outcomes and enable people to make informed decisions about their health. One of the biggest components of this sunshine industry is the use of mobile health apps. 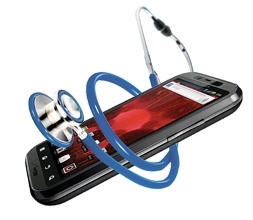 According to reports, companies have already developed more than 1,00,000 health care apps for mobile phones. Companies are also investing heavily on developing sensors and wearable blood sugar monitors or other hand-held devices capable of recording various vital signs and help detect numerous diseases beforehand. The new mobile technology enabled health care services also empower the patient and create a new paradigm of healthcare development.with equal participation from both the patient and the health care provider. Studies in the US also indicate that after providing home monitors to record data pertaining to ailments such as diabetes, congestive heart failure and other chronic illnesses, there was significant drop in critical cases and there was better overall health care management. The monitors collected vital statistics required for diagnosis and channelled the information through mobile phones to a centralized database which was used to monitor the overall health of the targeted population. It was found that with simple interventions and simple equipment, the impact was profound. Similar studies were also conducted in China, where the selected population was provided with smart phone enabled heart sensors resulting in better monitoring of health and preventing the occurrence of critical situations. In New Zealand, text messages sent to smokers helped a significant population to overcome the habit.Following this successful program, health care administrators are in the process of designing a program to monitor diabetes and are even collaborating with the United Nations and other global organizations to take this venture forward. Similar experiments were successfully performed in Kenya to track down HIV patients and to provide timely reminders based on the data collected. Pharmaceutical companies are also investing significantly in mobile health to help doctors and patients to manage complex conditions like diabetes. Three companies, Bayer, Merck and Novartis have created more than 100 healthcare apps for attending to various requirements. One of Merck’s apps, My Health Matters, enables HIV patients to chart symptoms and adhere to prescribed drug regimens. With the coming of digital health technologies, pharma companies are equipped to deliver better experience to patients, improving clinical outcomes and thereby cutting down on the total cost of care. However, trustworthiness of pharma companies continues to remain a challenge. Enabling patients participate proactively in their care. Mobile technology in healthcare has two major paths that are developing in parallel, at different speeds, which are influencing each other. First is the technology, devices, applications and services for the treatment and care of patients, and the second is the systems and devices designed to monitor compliance with a healthy lifestyle (wellness) and fitness. However, the immediate requirement is the creation of mobile medical sensors and devices that can collect data and replace or complement hospital equipment. 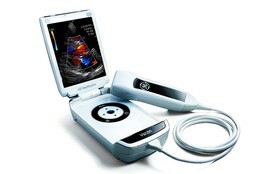 In the run up to this effort, GE Healthcare has come up with mobile ultrasound machines while Alive Cor, a start up had produced a device that attaches to the smart phone to measure heart rhythms. Many such digital health initiatives for the production of wearable sensors and monitors are in the offing. Admittedly, wearable technology is an offspring of mobile technology but often syncs with devices. This category’s explosive potential for growth in the healthcare space can’t be ignored. Thanks to enhancements in sensors, wearables are starting to go beyond just monitoring and tracking personal wellness to helping diagnose disease. . In the new and emerging field of wearable technologies, the list of products include smart watches and sunglasses, 3D trackers and wearable cameras. Connected health or m-health thus can potentially reshape the healthcare and life sciences industries, creating many new opportunities but also threatening entrenched interests. If mobile devices enable people to monitor their vital signs, conduct tests, diagnose diseases at home and communicate remotely with their doctors, then much of the current health infrastructure in developed countries becomes potentially unnecessary. Integrating new mobile devices and services into healthcare may be easiest in parts of the developing world, where people are currently underserved. In the developed world, progress will require changing cultures and entrenched practices. In this process, the developing world stands to gain and is at a distinct advantage as they can do away with putting up traditional healthcare infrastructure ( at a significant cost) and instead leverage their growth by embracing newer technologies. Another buzz word often heard in this domain of m-health is the importance of ” big data “.This centralized data pool can help researchers and pharma companies to mine information regarding various ailments, and can tailor treatments to individual preferences leading to “personalized medicine”. The prospects for m-health remain bright. Drug and medication interactions can be checked through mobile platforms to ensure patient safety. Electronic health records can create a significant change in healthcare. And now, with mobile access patients and health care providers are able to access health records with greater ease. Healthcare professionals can send patients electronic copies of their health information through smart phones. Patients can also view, download, and transmit their health records via a secure electronic mobile messaging service to their healthcare provider. All thanks to electronic health records with mobile accessibility. Today, more people than ever before are feeling empowered to take a proactive role in monitoring their health. Mobile health is expected to facilitate this process. Better coordination with this new technology can also improve efficiency of delivering healthcare and cut down on costs. These technologies promise to improve outcomes and cut costs, while also improving the efficiency of the healthcare industry. They can help bring quality care to people anywhere in the world and make it easier to deny deadly epidemics the chance to get a foothold. The biggest challenge however remains in finding viable business models for the new devices, services and connections with many people wary about privacy violations which could prevent the adoption of m-health. One of the steps to overcome this fear is to encrypt all data. Also once people see health benefits from devices that keep watch on their blood pressure, heart rhythms, activity levels and other key measures, they will be willing to pay from them out of their own pocket and better business models can emerge. It is needless to say that in the future of mobile health, success will go to pioneers with the most innovative ideas, devices, services and business models.